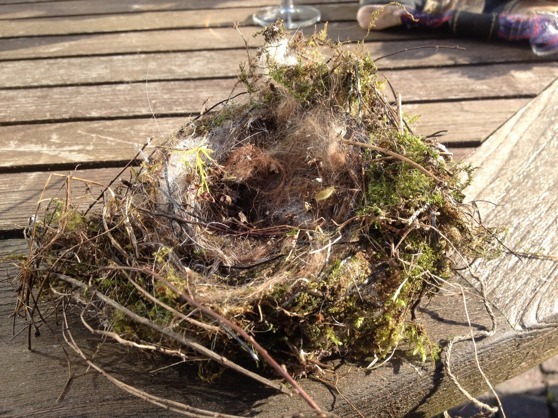 Look what we found in a bush in our garden - a used birdsnest padded with the fur of both Yatzie and Moët! Lucky baby birds that got to grow up in here! I had heared of that birds use dogfur in their nests so after grooming the dogs I often place tucks of fur in the bushes for the birds in spring time. Now I know that it is appreciated!